In this digital age, it is vital that you embrace the world of technology and all that it has to offer. It is a brilliant chance for you to improve your lifestyle and explore new opportunities. Although it might be tempting to dive in and purchase the first exciting piece of tech you find, you need to take your time. Otherwise, you could end up losing a considerable amount of money. 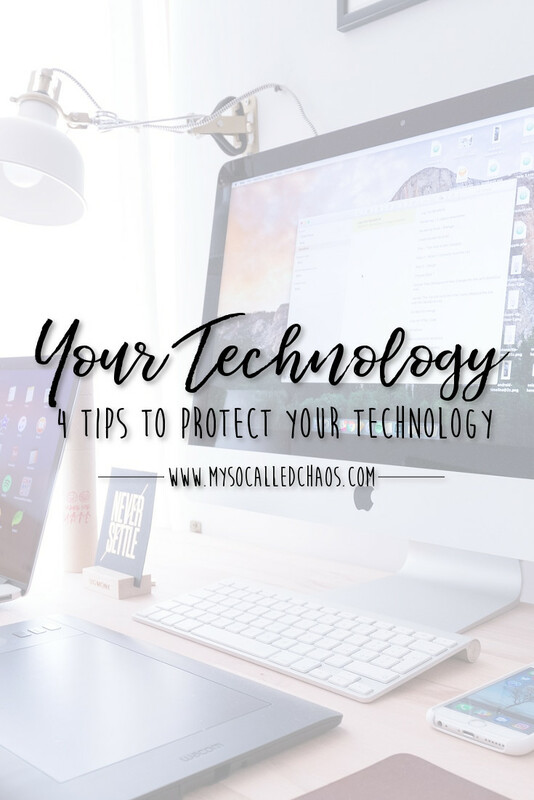 If you are determined to make sensible decisions, when it comes to protecting your digital devices, you will need to pay close attention to the following four tips. This post may contain affiliate links, thanks for supporting this blog. If you truly want to get the most out of your technology, it is important that you select devices that suit your needs. For example, if you are hoping to travel with your laptop, you will need to find a light-weight device that is easy to carry, incredibly resilient, and has long battery life. Or, if you are searching for your child’s first phone, you will need to find a device that is easy to use and comes with plenty of safety features. Before making any purchases, just make sure that you look out for impressive warranties and return policies. There are even some companies that offer a discounted repair service. Once you have purchased your devices, you need to make sure that everyone using them is staying out of trouble. If you are sharing your technology, it is important that you sit down and talk through both appropriate and inappropriate sites to visit. You should also warn your loved ones against opening emails from suspicious senders and downloading questionable attachments. If there are youngsters involved, it is also a good idea to introduce password protection to your devices, as this is the only way for you to achieve total peace of mind. Next, you should have a strong backup plan in place, just in case anything does go wrong with your technology. It will prevent you from spiraling into a panic and doing more damage to your devices. Instead of dealing with the problem alone, you should reach out to Secure Data Recovery for help. Not only can they help you to protect your devices in the first place, but their services will also come in handy if the worst should happen and your data is compromised. Finally, you will need to reduce the risk of scratches and breakages. You can do this by investing in protective cases for all of your technology. Whether you’re handling your smartphone, tablet, or laptop, it is best to take precautions. After all, doing so will save you from worrying about dropping your devices or having them move around your bag. If you are concerned about scratching your screens, you should also look out for either glass or screen protectors to eliminate this risk. This is a small expense, but it could save you an enormous amount of time, money, and effort, further down the line.